Peplums have been everywhere for the past few seasons, and although I can't deny that they are so chic and glam, they just aren't for me. For my frame I do have quite wide hips and I'm not in a rush to draw attention to them, don't want no thunder thighs on the loose now do we? But there is an updated version of Peplum that is slowly filtering through, which is much more my bag - it's the PEP HEM. The Pep Hem is just the peplum but lower, instead going around the bottom hem of a skirt or dress, or around a dropped waist, instead of being just above the hip. The reason I love it so much is that they perfectly balance out broad shoulders and hips, creating quite the slimming effect, while putting the figure into proportion. So, as nice as I am, I am sharing with you some of my favourite Pep Hem dresses so you can get ahead of the fashion pack and pick up one of these fab little numbers. 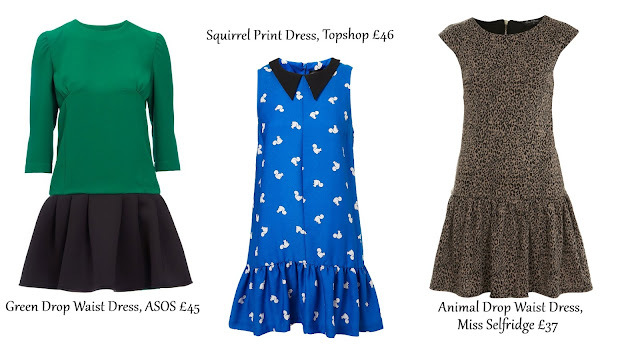 So which one is your favourite - I'm seriously pining for the squirrel print number from Topshop, it is so adorable! Hope your weekend has been fantabulous! Ah so that is where the blue dress is from! I saw it on a blogger and wondered this, so thanks for putting me in the right direction! The squirrel one is definitely my favourite too, I always love animal prints and collars on a dress! Hei I also love more pharrells casual style! My fav dress would be the black one! Gahhh I know what you mean about peplums...its sad when theres a trend everyone is embracing but you don't suit it! I always feel that way with grunge! But you have certainly picked up some lovely dresses. 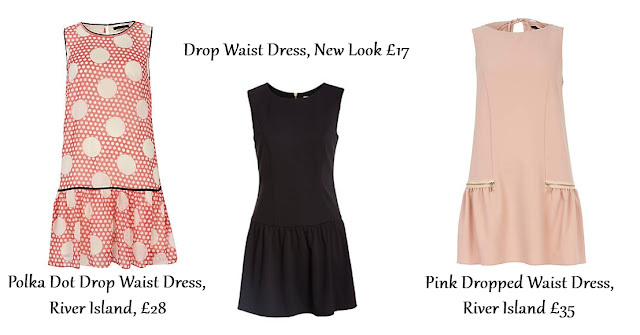 Love the the Miss Selfridge and River Island one. Very simple, very elegant, very chic! I've been surprised how good this shape actually is on - I usually avoid drop waist but the movement the ruffles ('pep hems', love it) give really helps with proportion. I'm eying off a little drop waist navy blue number at the moment. Tempted! I probably like the squirrel dress the most too. But it is a hard choice because everything here is so amazing and the sort of things I would wear. Love the squirrel print dress!